I like Obama, but if he passes this heath care thing, all the good food is gonna be outlawed. Then you must really be happy Obama's in the White House. The Yankees never win with a Republican in there. Not under Bush, not under Reagan. This is a strange little phenomenon, but it's pretty true. 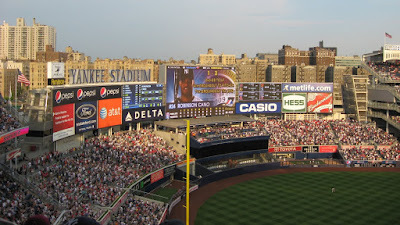 The last Yankees World Series under a Republican president was back in 1956 under Eisenhower. In all only 6 of 26 championship runs have been under a Republican (and only 2 since World War II). Here they are: '23, '27, '28 under Coolidge; '32 under Hoover; '53 and '56 under Eisenhower. In the interest of full disclosure, I must admit that I grew up in South Philadelphia and am a dyed in the wool Phils fan. So I hope this trend gets bucked. You Mean New Yorkers Take Subways? Get Outta Here! We haven't been down to the much talked about Gateway Center yet, but most of the media coverage thus far has revealed that folks are happy to be able to do their shopping locally as opposed to heading to Westchester. Wow. I've got lots of comments on this mall, which I shop at a lot because it is within walking distance. 1) James, unfortunately, this is an example of "transit-adjacent development," as opposed to "transit-oriented development." Streetsblog could do an entire post on this fact alone. The mall places a blank wall and its truck shipping bay right next to the entrance to the Metro-North station. There are no signs at the station or the mall pointing to the other. 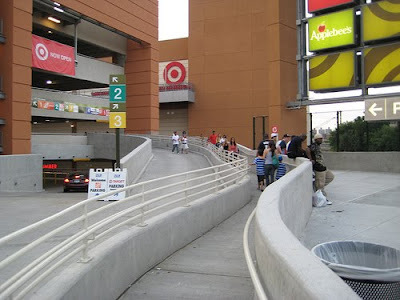 To get from the rear of the station to the rear of the mall, you have to walk through at least one door through a chain link fence and through a parking lot/truck bay. Absolutely no thought was given to the fact that a train station was within a few hundred feet of a major retail outlet. I imagine some retail employees would take the train if they live in the northwest Bronx or Westchester County, but I can't imagine any shoppers using this alternative because of the way it has been presented. Hopefully, some of this will be remedied if and when they build "Phase II" of this mall project, which is a hotel on the site of the parking lot. 2) The photographer must have visited on a weekday. If you go there during the peak times on weekend you will see many more people jostling for space in that walkway. 3) Re parking, the city needs to install parking meters on the streets just outside the entrance. Right now everyone parks for free on E. 151st Street and Gerard Avenue and walks across the street to avoid the parking fee of $2.40 per hour. Generally, the city installs parking meters in retail districts. This area is now a retail district and should be treated accordingly. Very insightful points. I certainly hope that if Related's plans for the Kingsbridge Armory move forward, similar mistakes are not repeated. I mean, the Marble Hill Target/Marshall's/etc. shopping center (another Related project) doesn't even have bike racks. How do you not install a couple of bike racks after you spend millions of dollars creating something? Click here to check out the Streetsblog piece. The newly renovated Mi Casa Bakery on Bedford Park Blvd. which are advertised right next to their baby shower offerings. Bedford Park's 204th Street west of the Mosholu Parkway is often outshined by its more booming sister commercial strip on the other side of the Mosh in Norwood. 204th Street in Norwood has a ton of different retail and food options...Foodtown, dry cleaners, a pet store, banks, pizza places, Mexican food, and 99 cent stores can all be found there. However, Bedford Park's 204th Street (between the Grand Concourse and E. Mosholu Parkway S.), which has a heavy Korean presence, has some interesting spots worth checking out. We had an awesome meal recently at Da Do Hae Restaurant, which specializes in Korean BBQ. This is the second time we've eaten there, and it was just as delish as the first. Lou treated himself to the BBQ spareribs (at $23.99 they are pricey for sure, but they are soooo worth it...the meat is so tender and flavorful) and I got adventurous with the Beef Bi Bim Bop ($10.95), which is a rice dish with veggies and beef with a whole fried egg served on top. My favorite thing about this spot is how nice the servers are. I'm one of those goofy white girls who has no idea (and no desire to learn) how to eat with chopsticks, so I always have to be annoying and request a fork. I've been in places where I can almost feel the servers rolling their eyes at me, but not here. The server was also quite gracious when she brought my dish over asking if I knew how to eat it. I said I had no idea! She expertly cracked the fried egg and mixed everything together for me and added some spicy sauce. We also got the dumplings for an appetizer which are probably my favorite thing on the menu. These are basically little fried pieces of heaven - warning: the portion size on these is HUGE, so definitely just get one for the table. Don't expect anything too fancy at Da Do Hae. There's a Korean specialty store attached to the space, and th ey offer a lunch buffet that makes the place look a little cafeteria-like. It you have little ones, BYOBS (bring your booster seat)! On our walk home, we discovered that a new restaurant has set up shop where Rose's Luncheon used to be. Although it's quite sad that Rose's is no longer there, we're really pleased to see the space not sitting vacant. The new place is called El Rinconcito Del Sabor and they have a pretty extensive menu for dining in or take out. I'm particularly excited to try their sandwiches (Cuban, steak, chicken, tuna, ham & cheese, or veggie), which range in price from $3 to $6. These two dining spots are great options on this little strip. There's also a relatively new wine/liquor store (that's not shady looking! ), a serviceable little coffee shop, a decent 99 cent store, and a Korean bodega/fresh veggie spot. Now if only we could bulldoze the C-Town and get a grocery store over there that offers foods and produce that aren't expired...now that would be heaven. BoogieDowner profiled this house back in early September. I was circling the listing waiting for the price to be chopped. Finally the chop has come. 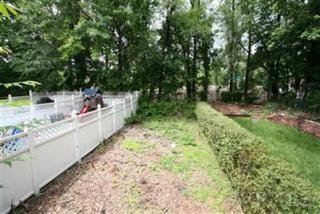 Now the listing is for $50K less and they've included a backyard pic. The original assessment of the house still holds, but the price makes a little more sense in light of all the fixing up needed on the interior. You have to love the exterior of the house and the fact that it comes with an ever elusive garage. I'd certainly classify this as a fixer-upper. 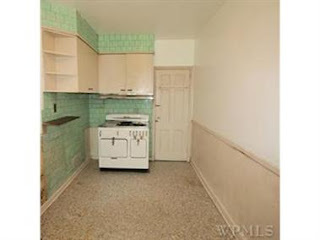 The interior looks nice enough, but it appears a kitchen thief absconded with the cabinetry, counter tops, and any post war appliances. While $449K $399K is not that steep for the hood, you'd hav e to spend at least an extra $20K-$30K (minimum) to redo the kitchen and bathroom. I might do some wallpaper removal as well - it's pretty scary. If a low ball offer was accepted there's a lot of potential here. The hood has some good things going for it. You are right near Van Corlandt Park, which in itself is cool for biking, running, using the pretty nice public pool, or just watching cricket and rugby matches. You could also pretend you have a lake front deck at Vanny's golf course's clubhouse. Or just play a round if you're an actual duffer. Proximity to Bronx Ale House would provide you with a pretty solid local. Transportation in this part of the hood would be either the 1 train at 238th Street (super close) or the 4 train at Jerome Avenue and Mosholu Parkway (a little bit further, but not insane). Okay people, it's time to stop complaining about your local park and put a little muscle into helping to fix it up. This Saturday, 10/24, at 10am is It's My Park! Day throughout NYC. Click here to see an overview of the day and figure out exactly where your local park's event is taking place. For anyone living in the Bedford Park area, the Bedford Mosholu Community Association will be meeting at the Mosholu Comfort Station at Webster Avenue and Mosholu Pkwy. South. Hopefully the rain will hold off so we can spend some time cleaning up our local park - see you there! Butter cookies have never tasted this good. We absolutely love our close proximity to Arthur Avenue, but sometimes we don't feel like dealing with the crowds over there if we just need one or two items. We find if you don't get your business done over there by about 10am on a Saturday/Sunday, you may as well forget it. Parking's a mess, and lines are out the doors of some reputable bakeries, specialty shops and delicatessens. Thanks to our friend Rosamaria, we have two new options for bakery items and bread that can be found outside of the ever-popular Little Italy strip. We've actually been having issues finding good cannoli on Arthur Avenue/187th Street (we're open to any recommendations y'all may have). We used to love Egidio's on 187th, but one day they sold us yesterday's cannoli and we haven't forgotten the slight. We've tried cannoli from some other spots in the area, but just haven't found that one place that's perfect...until now. One of Rosamaria's recommendations was Sal & Dom's bakery (1108 Allerton Avenue at Yates Avenue, 718-515-3344) - she wholeheartedly recommended the napoleons there, but we were specifically in the market for cannoli and some butter cookies. Holy good Lord, did Sal & Dom's deliver! The butter cookies were so fresh they were just shy of actually crumbling in your fingers (in a good way). The cannoli was freshly prepped to order and was exactly what we've been searching for. The service was fast and friendly. It was really refreshing to have some nice folks behind the counter, becau se I find that oftentimes the employees at the bakeries on Arthur Avenue can be overly focused on speedily serving the masses and are a bit snippy. After hitting Sal & Dom's we took a trip over to Morris Park to try Scaglione Brothers' Bakery & Deli (1078 Morris Park Avenue, 718-892-1736) for some sandwiches and Italian bread. First of all, Morris Park is just great fun to walk around. All the houses are impeccably maintained, and all the neighbors are outside gabbing with one another. The atmosphere in Scaglione Brothers' was just as good - everyone knew each other and it was a nice change from the anonymity that comes with the weekend crowds from Westchester and CT that flock to Arthur Avenue. The sandwiches we ordered were awesome and the bread we got to go with our dinner was great as well. The best way I can describe their bread is that it's pretty dense - there's nothing light and fluffy about it, and that's a good thing. An added bonus is that Scaglione Brothers' is right next door to the famed Patricia's pizza place - we're definitely going to stop in for a meal next time we're over there. The 2009 Village Voice Best of NYC winners were announced today, and the Norwood News was named Best Little Newspaper That Beats the Odds! Congrats to editor Jordan Moss and the whole gang over at Bronx News Network for the much deserved recognition of their outstanding coverage of all the local issues that matter to Bronxites. Pedro Espada Jr. also made the list as 'Most Entertaining Politician (Not So Progressive).' Check out the write-up here. And did you know that each June there's a vintage baseball match held at the Bartow-Pell Mansion? There's underhanded pitching and players wear knickers and stockings for uniforms. The Village Voice has named the event the Best 'Re-Creation' Recreation. Read all about it here. even the parking meters have Italian pride. Fliming at the Andrew Freedman Home? Hmmm, anyone know what may be filming over there? Cute house we walked past on Yates Avenue off of Allerton. The Yankees are inviting the public to view Game 3 of the ALCS, which is being played today in Anaheim, in the Stadium Field Level and Great Hall of the new Yankee Stadium. If you're interested in attending, the turnstiles between Gates 4 and 6 will be open at 3:30pm for the 4:13pm start time. Admission appears to be free, but there will be plenty of opportunities for you to blow through some benjamins as the food and concession stands will be open. NYY Steak and the Hard Rock Cafe will also be open. If you can finagle your weekday schedule to make this work, it's a great way to get to see the new stadium without taking out a 2nd mortgage on your house. Those community-loving Yankees are so charitable, right? at Harris Field across the street from Lehman College. Any hoops fans out there may be interested in heading over to Fordham's Rose Hill Gym tomorrow, 10/17. The New York Knicks will be holding an open practice there at 11:15am, and admission is free. Bronx, N.Y. - The New York Knicks will hold an open practice in Fordham University's Rose Hill Gym this Saturday, October 17th, with doors opening at 11:15 a.m. Fans will get a chance to see Head Coach Mike D'Antoni lead the team through a workout, as the Knicks prepare for the 2009-10 regular season. Admission is free. The reserved seating section will be reserved for Knick season ticket holders with a section also being set aside for Fordham University basketball season ticket holders on a first-come, first-served basis. The remaining seats are open for general admission on a first-come, first-served basis. No ticket is needed. The practice will also feature performances by the Knicks City Dancers & Knicks City Kids. "AMERICAN BALLET" features music by two of America's greatest composers written at the request of the visionary dancer and choreographer, Martha Graham. Samuel Barber's Medea, strikingly blends the classic with the modern in a musical retelling of the Greek tragedy, while Appalachian Spring marks Copland's embrace of the charm and soulfulness of America's folk traditions. 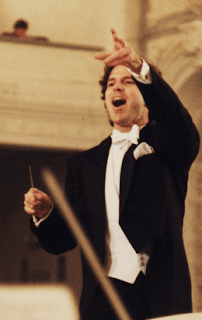 Each work will be performed in its original version for a group of thirteen to fifteen musicians. Two more works will fill out the program: chorales by J. S. Bach and Cesar Franck, both of which were choreographed by Ms. Graham. Originally for piano, on the 18th they will be performed by fifteen musicians in transcriptions created exclusively for the Sinfonietta. and each time I see them staring down at me I shudder. The JASA Van Cortlandt Senior Center invites you to join us for an ethnic meal and an evening of Greek, Ladino, and Yiddish folk music by folk artist Carol Freeman. Ms. Freeman is well known as a performer, researcher and teacher of Yiddish, Greek, and Balkan singing traditions. She is respected for her command of traditional singing styles and for her vast repertoire of folk and popular songs. Ms. Freeman will be accompanied by Ismail Butera, a virtuoso accordionist who has performed Yiddish, Balkan, Middle Eastern, Greek and African music with many celebrated ensembles for more than thirty years. An ethnic meal consisting of moussaka, salad, Greek bread and dessert will be served at 4:30 pm followed by the musical program at 5:30 pm. The recommended contribution for this event is $3.00 per person. For reservations, please call the center office at 718-549-4700. JASA Van Cortlandt Senior Center is located at 3880 Sedgwick Ave in the Bronx. Take BX 1, 2 or 10 to the intersection of Sedgwick and Van Cortlandt Ave West. 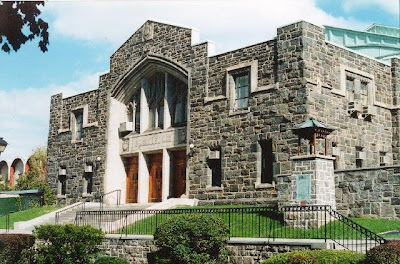 We are located on the first floor of the Van Cortlandt Jewish Center next to the Van Cortlandt branch of the New York Public Library. The following restaurant tip came in from BD readers (Jill C. and Denise C.), and we were holding onto it to check it out and do a full review. Well, we haven't gotten there yet, so we figured we'd just go ahead and post it anyway...any other readers been to this place yet? Sounds great! have you tried mexicocina yet? they're in longwood on 149th, i believe right by tinton. a short walk from the e 149 6 stop or the jackson stop. simple menu, great prices, great food. the owner is a super nice guy. we just tried it for the first time within the last month (he's been there less than a year) and have been back numerous times! On a side note, Welcome to Melrose has a glowing review of Coqui Mexicano, which is right near the old Bronx Courthouse on Brook Avenue at 161st Street. Thanks for the tip, Eddie! 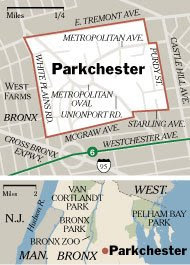 Parkchester is often called a city within a city, and this is an apartment within (kind of, really on the outskirts of) that city within a city - got that straight? Well, in any case, what was once a hidden secret is starting to be discovered and gobbled up. Parkchester has tons shopping, chief of which are its own Macy's and a Starbucks. There is also a decent amount of public space to hang at, including the ovals of the complex proper and a few fountains. And who does n't like fountains? Should we also mention that Parkchester is going to have Verizon FiOs soon too? Well, it will. Parkchester was built under the same idea as Stuy-Town and Peter Cooper Village in Manhattan, and has the same self-sufficient aura. 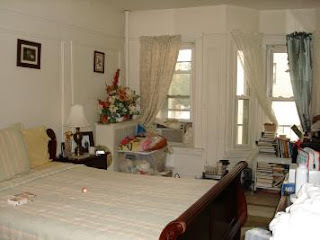 Parkchester is a safe and family friendly hood with decent transportation via the 6 train and bus service. 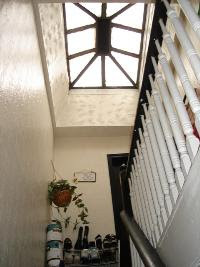 So if you're looking to own an apartment and have enough money to go out, or just need a place you with enough space that you can actually afford with or without roommates or a large inheritance or parental subsidy, check out this apartment and nabe. One of our favorite buildings on Bedford Park Blvd. Reminder: CB7 Quality of Life Hearing Tonight! Community Board 7 invites local residents to a public hearing tonight, 10/13, at 6:30pm at Our Lady of Refuge Church (290 E. 196th Street) to discuss quality of life and safety issues that appear to be on the rise in Bedford Park, Fordham, Jerome Park, Kingsbridge Heights, Mosholu, Norwood, and University Heights. in the Everett Children’s Adventure Garden, 12–4 p.m.
Good times are plenty with the M Shanghai String Band playing traditional and modern folk songs around a single microphone. Audience sing-a-longs and dance are part of the fun with The Ukeladies, a perpetually-touring act from Regina, Canada, with a lust for life. Sounds of the fiddle ukulele, toy piano, flute, glockenspiel, pennywhistle, and kazoo combine in perfect melody to send cowboy love songs and favorities from the ’30s and ’40s. Dance and have a good time to music that combines fiddle and banjo instrumentals with harmony singing ―a staple of country and bluegrass. Click here to check out their press release with all the details for this weekend's events. 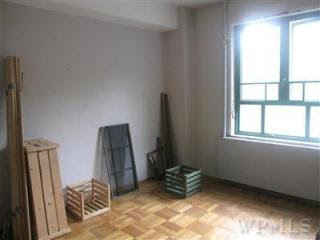 Listing of the Day: Appealing to the Troglodyte Set? So I apologize for the infrequency of LODs the past few weeks; school is back in session and this old academic mustapha is pretty busy. Why would a secluded basement at the terminus of the 5 train be attractive to anyone? Is the seclusion mentioned an enhancement to the ad? Couldn't the poster just have called it a "basement apartment?" Here's the FULL LISTING in case you're looking to transfer those run-aways you've been stashing to a more secluded location. Don't forget to ask for Radio (as per the listing). We've already done a glowing review of Bruckner Bar & Grill here on BD, but we just wanted to let you all know that we went back there for brunch this past Sunday and it was just as good the second time (if not a little better). Fancypants Lou got the Steak and Eggs with a Bloody Mary, and I got the Lorraine Omelette with cheddar cheese. Pearl stuck with her favorite, morning, noon, and night: french fries. Everything was just fabulous, and they even threw in some new brunch elements: delish warm nachos with salsa (I know, it seems a little weird to have that in the morning, but trust us, it works) and even a little mini blueberry muffin with each meal. The service is perfect for anyone with kids - friendly and QUICK. Nicely done, Bruckner B&G, nicely done. Dlisted.com reports that Heather Mills has opened her first U.S. restaurant, VBites, right here in the BoogieDown. It's somewhere in the South Bronx, but I can't seem to find an address for it. Any spies out there been to it yet? Not sure how many people are going to be interested in a strictly vegan restaurant, but I guess it's nice to see a new business setting up shop. Ms. Mills may want to work on improving the restaurant's main website though... Most of the food that appears in the banner resembles some form of poopy. The HPAC-VBITES Learning Cafe, which was opened on Saturday, is not a restaurant, but the office of the Hunts Point Alliance for Children (HPAC) and distribution center for the the vegan food generously donated by Heather Mills last year. In September, 2008, Ms. Mills announced a $1 million dollar donation worth of food to the children of Hunts Point. HPAC administers and distributes this food to the community directly and through alliance members. More on HPAC can be found at www.hpac10474.org. I have attached the press release for the event. It would be greatly appreciated if you could reflect this on your blog. chec k their site for Listings of the Day because other than a few brownstones in hipster Mott Haven (and of course Riverdale), we don't usually see Corcoran list many properties in the Bronx. Until now, that is. A quick search on Corcoran's site turned up properties in the Parkchester, Pelham Parkway, Williamsbridge, University Heights (Fordham Hill Oval, to be precise) and Longwood areas. Fancy! 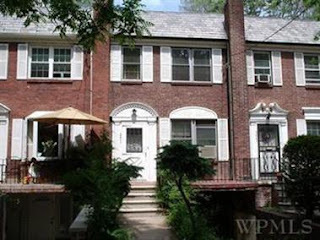 Bedford Park is also represented, with this interesting 3 story 3 family investment property on E. 206th Street sandwiched between the Grand Concourse and Mosholu Parkway. What the place lacks in charm can easily be made up for in the potential for rental income. The property is currently set up as two separate floors of two bedroom apartments and another floor with a one bedroom apartment. Each unit has one bathroom and a nice balcony. At $439,000 this is a pretty nice deal for someone looking to become a landlord but not wanting to have to renovate a large single family property. For mass transit, you'll probably be taking the 4 train from Mosholu Parkway, which is about a five minute walk. You're also not too far from the Botanical Garden stop of the Metro-North. If you've got a car, you're conveniently located not too far from the Major Deegan, Henry Hudson, Saw Mill, and Bronx River. Community Board 7 invites local residents to a public hearing to discuss quality of life and safety issues that appear to be on the rise in Bedford Park, Fordham, Jerome Park, Kingsbridge Heights, Mosholu, Norwood, and University Heights. The hearing will be held next week on Tuesday, 10/13 from 6:30 to 9:30pm. All those interested in speaking should enroll by sending a copy of your testimony along with your full contact information (name, address, phone, and organization name) to info@BronxCB7.info no later than October 9th by 12 noon. If you do not have access to e‐mail, you may mail your testimony to: Bronx Community Board 7, 229A East 204th Street, Bronx, NY 10458 no later than October 7th, 2009. If you are interested in submitting written testimony and do not intend to speak, you may submit your testimony in writing or via e‐mail up to Friday, October 16th, 2009. For more information regarding this hearing, please contact the Community Board at 718‐933‐5650 / 5651. Feel free to click below to access the flyer and distribute to anyone who may be interested in attending the hearing. Author and Bronx native (he attended Bronx High School of Science) E.L. Doctorow was interviewed at the 92nd Street Y back in April, and they've recently uploaded the video footage. Click below to check it out, or click here to access the 92nd Street Y's blog for other interesting features. Good stuff happening at Bronx Museum of the Arts this weekend. Join The Bronx Museum for an exciting First Fridays! program celebrating Friends We Love, a compelling documentary series following forward-thinking artists and personalities as they reveal what propels their creative processes. These insightful portraits ultimately pay tribute to the lives of those they love and hold dear. With music by DJ Moni, and performances by Jose James and The Real Live Show. Co-Presented by Friends we Love. With the centennial of the Grand Concourse, this fall is all about the Bronx! Come join us in our Open House and Street fair. Meet your neighbors, share good food and lots of art. Earlier in the week we linked to New York Magazine's coverage of Fordham's hot new quarterback... And it turns out our alma mater makes a second appearance in this most recent issue. They did a piece on NYC college kids' recommendations for neighborhood spots to eat, drink, and shop, and Fordham was the lead school. Click here to check out what the undergrads had to say about the local amenities. Particularly interesting was their designation of bbq joint MoGriddler's as the "Happening Bar." We didn't even realize that MoGriddler's was open again, never mind being a "Happening Bar." Now Pearl and I know where to frequent when we have a hankering for our mid-morning Red Bull and vodka... Kidding! That's Pearl drink - I'm usually designated driver. Big ups to Kellster out in Chi-town for reminding me to link to this article. 15TH ANNUAL CITYWIDE BOCCE TOURNAMENT: Preliminaries on Saturday, 8 a.m. to 6 p.m., at select parks in the five boroughs. The finals on Sunday from 9 a.m. to 6 p.m. will be in Pelham Bay Park in the Bronx. Sponsored by the New York City Department of Parks and Recreation. Registration: (212)360-8207 or nyc.gov/parks. In researching whether or not registration for the event was still open (it's not, but we still highly recommend this event as a spectator event), we came across one of the best videos we've seen in a while. It's a Parks Dept. video covering the 2006 Bocce Tournament Finals at Pelham Bay Park. Think lots of gold chains, wind suits, and Members Only jackets. At the 1:55 point in the video, you can even watch an old Italian guy yell at another old Italian guy (presumably a referee of sorts). While gesturing wildly (as only old Italian guys can) he shouts, "I told the guy to watch the line - eh! eh!" Another old Bocce enthusiast in the video dismisses such confrontations, saying, "We argue, but that's part of the game. It's a lot of fun to argue. You can't just play bocce and not talk, ya know?" Sounds like fun... Here's hoping no one gets whacked! Click here to view the video if you're trying to kill some time at work today. For those who haven't been following, you should really check out our post on Morton Williams' fight against the proposed supermarket at the Kingsbridge Armory. Unfortunately, Avi Kaner's argument against a big-box supermarket opening up in the Armory doesn't hold water. No matter what Mr. Kaner's beliefs, the fact remains that obesity and diabetes continue to rise within our community and many Bronx residents find themselves forced to shop outside of our borough to find fresh and affordable groceries. I applaud MW Supermarkets for their recent changes, but the truth of the matter is that the community as a whole still does not have quality supermarkets. I find the opposition to a supermarket in the Armory to be anti-democratic and anti-free market at the expense of the surrounding community. I hope that we can still come up with an alternative that brings healthier and affordable options to the Northwest Bronx. We couldn't have said it any better ourselves, Mr. Tirado. In what could be one of the coolest concerts in the hood in a while, George Clinton & the P/Funk All Stars will tear the roof off the Lehman Center on Saturday, November 7th at 8pm. Tickets range in price from $45 to $60... click here for more info and to purchase tickets. Lehman Center should be smelling sweet and tangy for quite some time after this show, wouldn't ya say? It's great to see Monte snapping up such a huge property during this real estate downturn. To the average observer, everything they own is impeccably maintained and their presence brings a sense of stability to neighborhoods. Bronx Pro Real Estate Management opened a new 90-unit affordable housing development at 1085 Washington Ave., in the Morrisania section of the Bronx on Tuesday, according to a release from the management company. The building’s anchor tenant will be DreamYard, a local provider of art education to K-12 aged students. The New York City Housing Development Corp. provided a $13.6-million construction loan, $5.7 million in permanent financing and a $4.95-million subsidy. Other partners included Enterprise Community Partners, who provided Bronx Pro with an acquisition loan equaling $3.4 million, $95 million in tax credit equity and a $40,000 Green Communities Grant. Mott Haven Playdate or Story Time? Hi, I'm a working mom living in the Mott Haven section of the Bronx on Alexander Avenue. 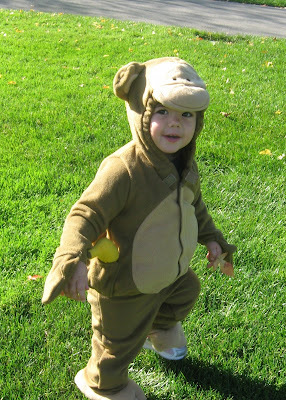 I'm looking to set-up play dates for my 10 month old son, Maximilian, with children of a similar age range. Our care-giver will most likely be with our son so play dates can be hosted at our home or within walking distance in the neighborhood. I'm also interested in learning whether any parents with infants would be interested in joining a story time group at the Mott Haven Library on Alexander Avenue. The library will only set up a group with 5 or more children. I can be reached at 646-610-5221 (work) and 718-742-0246 (home). Thank you! Anyone interested in reaching out to Sheridan should call her at the above numbers. You can also shoot us an email and we'll be sure to forward it to Sheridan.